P2K Tribe 008: WUP-RUP Season is Upon Us! How will YOU use it? How are you going to end 2018? How you choose to finish this year will have drastic consequences on the future of your goals, business, and legacy. Over 25+ years of entrepreneurship led by careful planning, The Mullers have noticed that when the calendar turns to December, it’s officially WUP-RUP time! 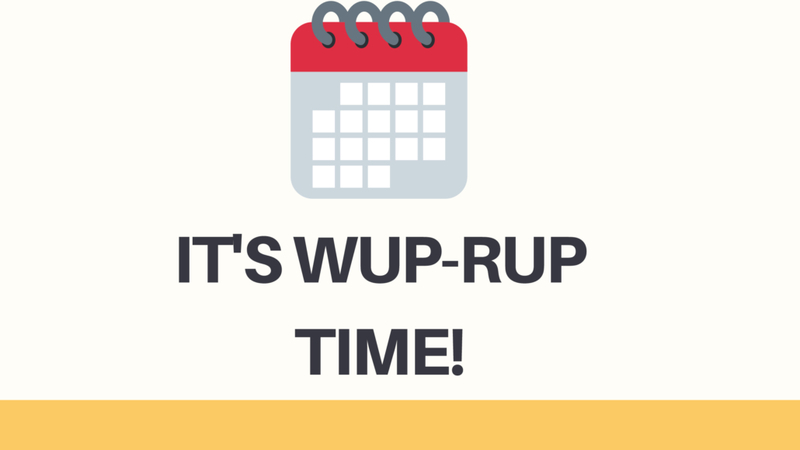 Wait, what in the world is WUP-RUP??? It simply stands for one of the two things you MUST do to make 2019 the best year yet. One finishes the current chapter, while one builds momentum for the next. Wrap up: Finish those tasks and bigger goals. Believe or not, leaving a goal to be accomplished for next year, even if you’re pressed for time, could be one of the WORST things you can do! Why? Not only do you not make progress, but it’s like telling yourself it’s ok not to finish things and accomplish goals! Take a look at your goals and your calendar. You have 30 days to take action and make it happen! Ramp up: Start getting that 2019 momentum going in these last 30 days! Ramping up means putting the pieces in place to truly blow the doors of your 2019 goals! Is there a skill you need to learn? Start looking up courses and make a decision on one you’ll study! Always been dreaming of a special vacation? Start lining up reservations, sites to see, things to do, and the money those things will take! The WUP-RUP Season has always been a highly impactful time of the year for The Mullers. It’s how they decide what to finish, what to get started, and how to spend the next 365+ days. How will you choose to spend December? By Wrapping Up or Ramping Up. P.S. Since we like options, there’s even a third part to this season you can break out, BUT ONLY on special occasions. There have been years where David and Alisa knew they weren’t going to see their families very much in the upcoming calendar. In those cases, they’ll break out the special combination of Rest Up and Love Up. However you choose to spend this season, we all hope it’s one of great insight and motivation. http://www.davidalisamuller.com/wp-content/uploads/2018/12/WUP-RUP-Season-pdf.jpg 1440 2560 Gatlin Johnson http://www.davidalisamuller.com/wp-content/uploads/2018/06/Promises2Keep-300x55.png Gatlin Johnson2018-12-02 13:37:532018-12-02 13:38:54P2K Tribe 008: WUP-RUP Season is Upon Us! How will YOU use it?